ALL IN THE FAMILY: Charles Krohn and daughter Julia Krohn both star in Agatha Christie's TOWARDS ZERO. Julia's mother, Chesley Krohn is Early Stages' (Stages Children's Theatre) Artistic Director. For more information on The Alley Theatre, call the Administration Office at ph. 713-228-9341 or the Box Office ph. 713-220-5700. 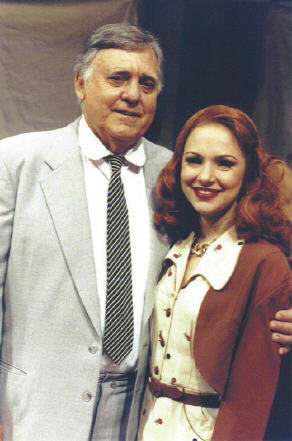 The Alley Theatre Closes its 2000-2001 Season with a world premiere by renowned playwright HORTON FOOTE, THE CARPETBAGGER'S CHILDREN, which was moved to Stages Repertory Theatre at 3201 Allen Parkway because of the Great Flood of 2001. All Patrons holding tickets to this production were asked to arrive at STAGES for the show. 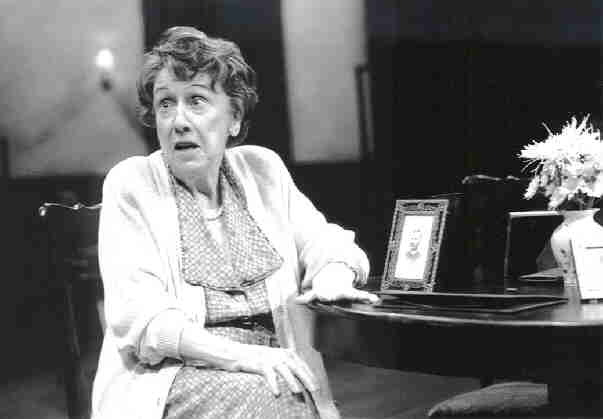 THE CARPETBAGGER'S CHILDREN Starring Jean Stapleton as Grace Anne (Pictured) was presented through July 08, 2001. Photo by T. Charles Erickson. DESTINY'S CHILD. 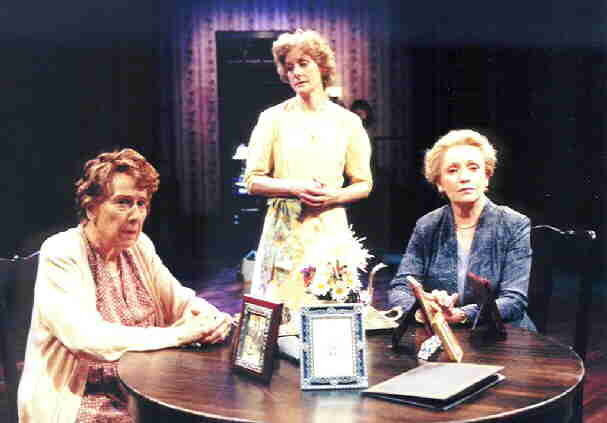 Pictured (L-R) Jean Stapleton as Grace Anne, Hallie Foote as Sissie, and Roberta Maxwell as Cornelia. THE CARPETBAGGER'S CHILDREN was Presented at Stages Repertory Theatre at 3201 Allen Parkway through July 8th, 2001.